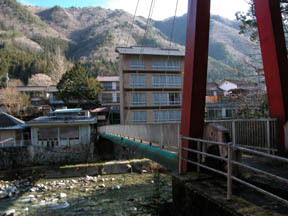 It is reported that the carbonate spring of the hot spring resort and the Akashibu color in alignment with the clear stream of the Ohora river is the No.1 miraculous fountain of Japan. 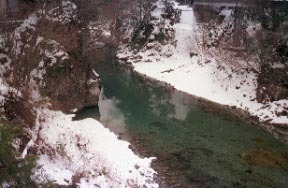 The clear stream of the Ohora river. 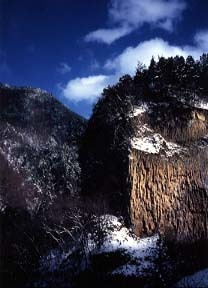 A Gandate valley, the Oiwa wall of the prismatic structure that it was able to do by the major volcanic eruption of "Gandate" Mt. 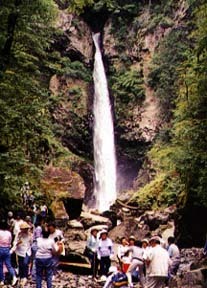 Ontake. 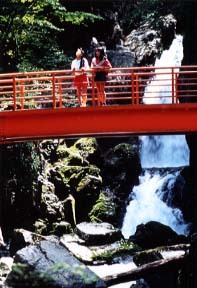 About 600-m takimi promenade is improved from a Gandate park to 3 Thu waterfalls.